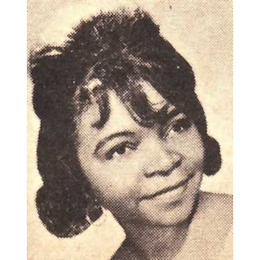 The strange name of Sherry Pye turns out in reality to be Claudine Clark best known for her series of pop/soul releases in the 60s. The big hit of course was “Party Lights” in 1962. But Ask The Girl Who Knows from 1969 is a rather different kettle of fish – maybe accounting for the nom de plume. It is a really fine deep soul piece with it’s nearest realtives coming from the Otis Redding and O V Wright songbooks. In fact the structure of it bears more than a passing reference to “That’s How Strong My Love Is”. Claudine sings a storm here betraying her Georgia roots as on no other disc I’ve ever heard by her. Very simple four piece backing creates plenty of space for her too. Uptempo flip is great dance soul with a full band southern style. You can find a complete Claudine Clark discography here. 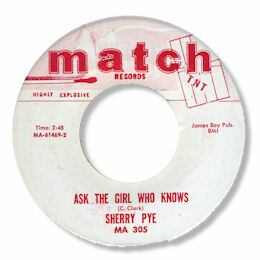 All her best tracks have been collected by UK Ace on their CD “Ask The Girl Who Knows”.